God Bless the rescue volunteers. 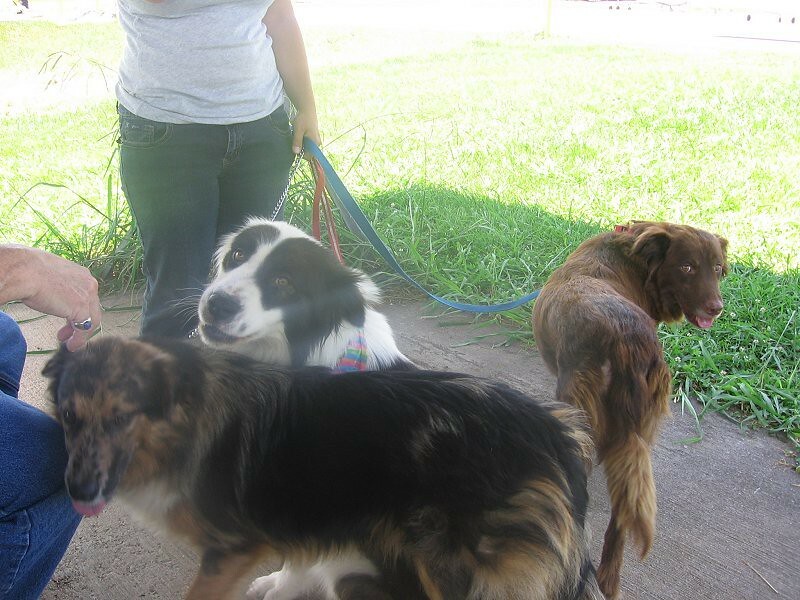 Without them, these three beautiful Australian Shepherd mix dogs would have been euthanized. We don't know how they ended up at the Salisbury, NC shelter, but it is very overcrowded, and their time was up. 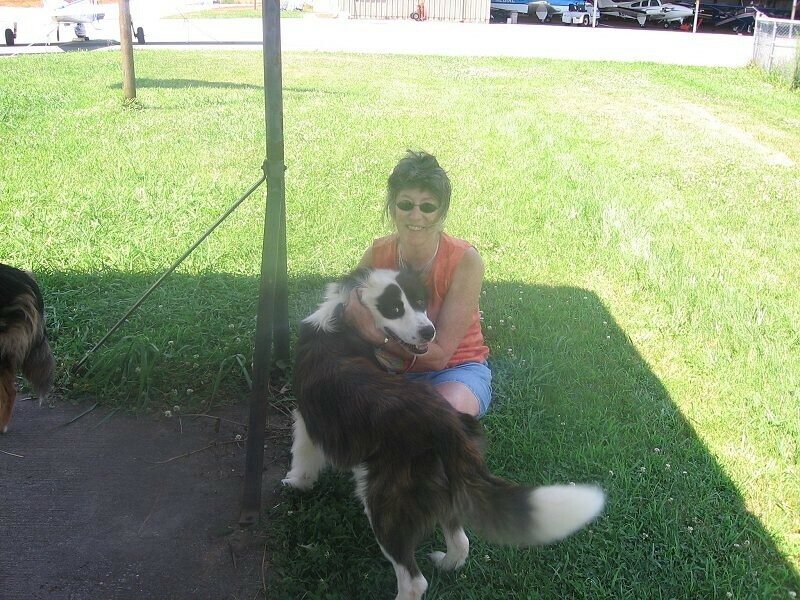 Luckily for them, Pam with New Spirit 4 Aussie Rescue secured foster homes for all. Scarlet jumped off after leg 1 and went home with Don and Carmel. Jay and Tigger continued on to Allentown, PA to meet their new families. Left to right, meet Tigger, Jay and Scarlet. Brittany brought the trio to the Elkin, NC airport. 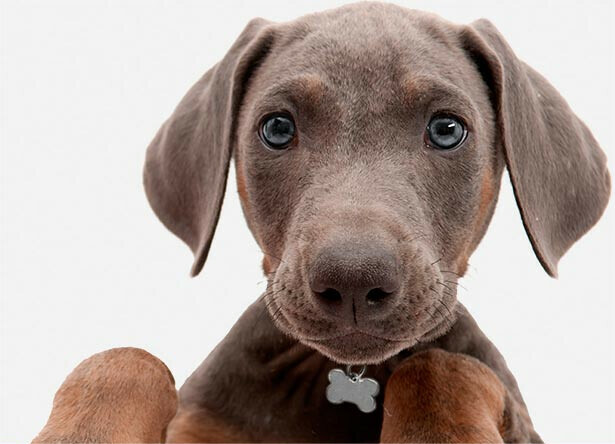 All three were very sweet. 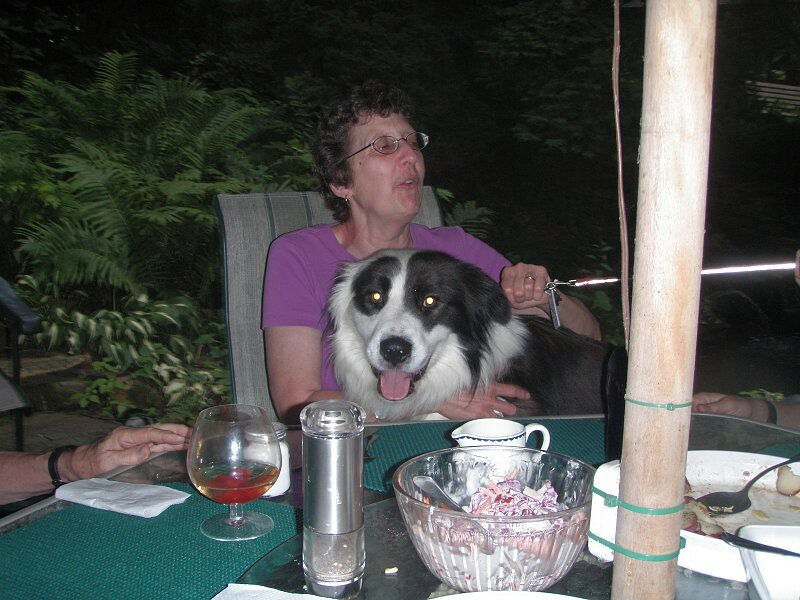 But 60-pound Jay was the most affectionate, and was happiest when on someone's lap. 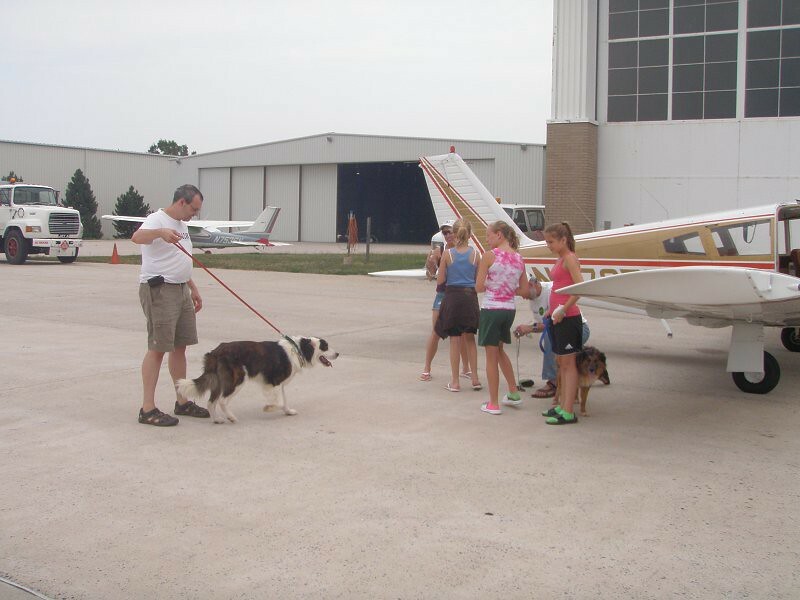 After a long hot day and two airplane rides, Tigger and Jay finally arrive at Allentown, PA and meet their new families. I already mentioned Jay was a lap dog. It looks like he has the wonderful home he deserves.